As spring training begins in Florida and Arizona, SI.com takes a look at the biggest questions, camp battles and prospects to watch for each team in the American League Central. Over the next few days, SI.com will break down what to watch for in each team's camp as part of our spring training preview by looking at the Big Question, Big Position Battle and Big Prospect for all 30 clubs. Teams are listed by their order of finish from 2014. Note: The Big Prospect is a player who will be in major league camp but has not yet debuted in the major leagues. The Big Question: How healthy are Miguel Cabrera and Victor Martinez? It seems ages ago, the last time the Tigers began the spring as anything other than runaway favorites in the Central. Yoenis Cespedes is a fascinating addition to the juggernaut lineup, and Justin Verlander returning to Cy Young form is crucial to the Tigers' chances of fending off the division upstarts. Or course, we're stating the obvious when we say that the Tigers' season rides on the health of their $248 million third baseman and 36-year-old $68 million designated hitter. The Tigers got some good news when they learned that Martinez, recovering from a knee injury suffered during offseason workouts, should be ready to rejoin the team before the season opener. That, however, is still far from a guarantee that V-Mart will be the V-Mart of 2014, when he had his monster career year, smashing 32 home runs and a posting a league-leading .409 OBP and .974 OPS. Of course, even more rides on the health of Cabrera, who, even while he was limited by bone spurs in the second half, still showed last season that he's capable of an MVP-caliber season. The injuries that he's somehow miraculously played through over the past two years are obviously concerning, and he's been limited since undergoing foot surgery in October. Cabrera is out of his walking boot, and the Tigers are hopeful to have him ready by Opening Day, but a setback this spring would throttle Detroit's chances in a must-win year — very few teams have more at stake in 2015 — and would turn the division upside down. Manager Brad Ausmus isn't faced with any decisions that will keep him up at night, as there are no significant position battles looming in Tigertown (centerfield is somewhat unsettled, where Rajai Davis and Anthony Gose will likely share time in the early part of the season). But the bullpen, a perennial headache in Motown, remains in flux. Tigers fans will be keeping the Dramamine close with Joe Nathan back for another year in the closer's role; no one who followed the Tigers last year can possibly have any faith that the 40-year-old will keep a firm grip on the role through the season. With Nathan's struggles in mind, Bruce Rondon's spring is worth keeping an eye on. If the veteran can't hold down the closer role, the door will swing open wide for either Rondon or Joakim Soria to take the job. Rondon, back from Tommy John surgery, once struggled in the role as a rookie but seemed to figure things out at the end of 2013 before his injury. If he's recovered, the baby-faced flamethrower could be a huge shot in the arm for the bullpen, and save the Tigers' season. • POWER RANKINGS: Where do teams stack up heading into spring? Also up in the air in the 'pen is who will emerge as the primary lefty weapon. Phil Coke is gone (though he's still dangling in free agency) and Tom Gorzelanny was signed by the Tigers essentially to replace Coke as one of two lefthanders in the bullpen. A starter early in his career — he made 23 starts for the Cubs five years ago — Gorzelanny has turned into a quality reliever; he had surgery to clean out his rotator cuff two years ago and says he wasn't fully recovered last year when he logged just 21 innings. Also competing for one of the lefty spots in the pen: Blaine Hardy, Ian Krol, Kyle Ryan, and non-roster invitee Joe Mantiply. His chances of breaking camp with the major league club are slim, but out of a minor league system that's regarded as one of the weakest in baseball, Moya — last year's Eastern League MVP — is the prospect closest to making an impact. Moya had a big year in 2014, setting a single-season franchise record in Erie for home runs (35) and extra base hits (71), but he also struck out 161 times and walked just 23 times. Had the Tigers not acquired Cespedes, we'd be talking about Moya as a possible starter out of spring training, but now the outfield is a crowded one, with Cespedes, J.D. Martinez, Davis, and Gose. We all know that the Tigers' roster is an aging and brittle one, and it wouldn't be shocking if an opportunity arises for Moya to make an impact later this year. If not, his time will come in '16, with Cespedes headed for free agency after this season. The Big Question: Can Edinson Volquez or Kris Medlen replace James Shields? The Royals followed up their magical October with a dud of a winter, making just a handful of uninspired moves despite the departures of key pieces like Shields and Billy Butler. The Royals' additions to the Shields-less starting staff included Volquez and Medlen, two pitchers that they hope will soften the blow of the loss of their ace. Volquez, signed to a two-year, $20 million deal, had one of his best seasons last year in Pittsburgh, but it's no secret that he's due for regression (check out that .262 BABIP). The intriguing addition is Medlen, a low-risk, high-reward signing (a two-year, $8.5 million deal) that may turn out to be the club's biggest move of the winter. Medlen's recovery from a second Tommy John surgery will be worth watching this spring — let's remember that as recently as 2013, he was a very good pitcher, going 15-12 with a 3.11 ERA in 197 innings atop the Braves' rotation. The Royals' rotation with Shields gone may suddenly pose more questions than Charlie Rose, but Medlen could emerge as a sneaky great pickup by general manager Dayton Moore. There are only small battles this spring in Royals camp, with much of the roster set for the defending AL champs. The bullpen will again be one of the most intimidating in the game with Greg Holland, Wade Davis, and Kelvin Herrera and the return of Luke Hochevar. The Royals, though, still don't have a clear lefty option out of the bullpen, and while finding one isn't keeping Moore up at night, the emergence of a shutdown lefty specialist would strengthen the formidable bullpen even more. 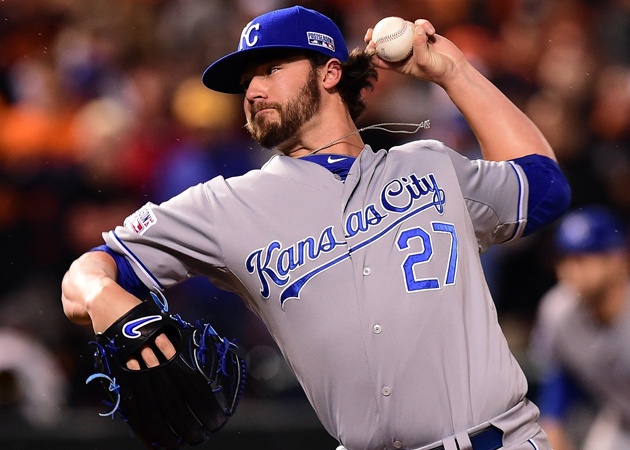 Newly acquired Brian Flynn could turn out to be that guy, but the most compelling option is Brandon Finnegan, the 2014 first-round pick who made his major league debut in September and shined in October. Finnegan was so good as a reliever that he may stay in the bullpen. Though he's likely to start the year in the minors, he could make a case for himself with a big spring. With his 98-mph heater, 12-to-6 curve and plus changeup, Zimmer has the electric stuff to front a rotation, but the 23-year-old righthander has been plagued by injury since he was drafted as the team's top pick (fifth overall) in 2012. Zimmer still has to prove he can stay healthy over a full season — he's thrown only 13 1/3 professional innings since '13 — but he still has ace potential and is key to the Royals' long term plans. Zimmer had surgery in October to clean up his rotator cuff and could be back on the mound as soon as the middle of April. He could be ready to make an impact in Kansas City, and on the division race, by the All-Star break. 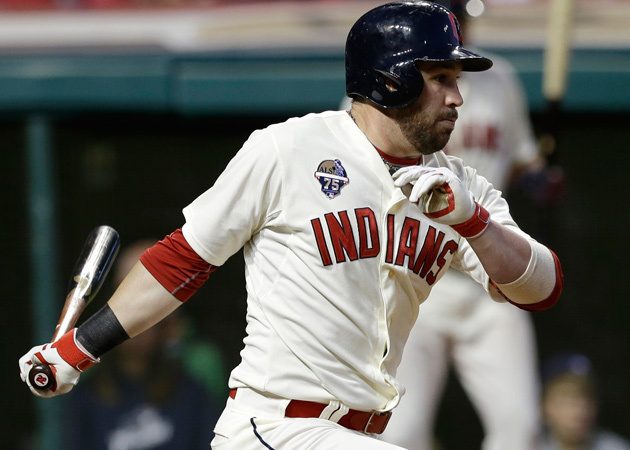 The Big Question: Is Jason Kipnis healthy and ready to bounce back? It was supposed to be the season Kipnis went from underrated All-Star to bona fide star, but instead, 2014 was easily the worst of his career. Slowed through the summer by an oblique injury he suffered in April, Kipnis hit .240/.310/.330 with six home runs and ranked 14th out of 15 AL second baseman in Fangraphs' defensive rankings. Kipnis had surgery in December on his left ring finger to fix a tendon he injured while working out, and a full recovery was expected. Still, all eyes in Goodyear, Ariz., will be on the man who signed a seven-year, $55 million contract extension last spring and has shown he can be one of the most potent infielders in the game when healthy. The Indians are positioned well in the Central, with the Tigers and Royals looking like they'll both take a step back. But if Cleveland is going to take the division, it'll certainly need Kipnis to bounce back in a big way. One of the reasons to like Cleveland's chances in the division is its starting pitching depth: The Indians have plenty of it. The signing of Gavin Floyd solidified the team's top four in the rotation, and for the fifth slot, the club has some intriguing options in T.J. House, Danny Salazar, Zach McAllister, and Josh Tomlin, all candidates to round out the rotation. Salazar, occasionally dazzling in 2013, is probably the front-runner and the pitcher with the biggest upside — remember, he was Cleveland's starter in the Wild-Card Game two years ago — but his command issues makes him far from a sure thing. After a rocky start in '14, he was demoted to Triple A, though he finished strong in Cleveland down the stretch. House was something of a revelation late last year, giving the club quality innings with his surprising ability to keep the ball in the ground, and he has emerged as a viable starting option. McAllister, with his big fastball, is a possibility as well, as is Tomlin, who tossed a one-hit shutout of the Mariners on June 28, one of the best pitched games of the season. • BELLER: Was Carlos Carrasco's late 2014 surge the real deal? The prospect who's been long touted as the next Omar Vizquel isn't expected to break camp with the team, and with Jose Ramirez's emergence last season at shortstop, there's less urgency for Lindor to take the reins. But there's little doubt that, before long, the defensive whiz will be giving us web gems on a nightly basis. Lindor is of course best known for his glove, though he showed progress with his bat last season, with a .276/.338/.389 slash line and 11 homers, 28 stolen bases, 31 extra-base hits, 62 RBIs and 75 runs between stops at Double A and Triple A. Lindor will be in camp and will likely start the year in Columbus, but he should be up at some point this summer, and for a team with a disappointingly bad defense last year, his addition on the diamond will be big. 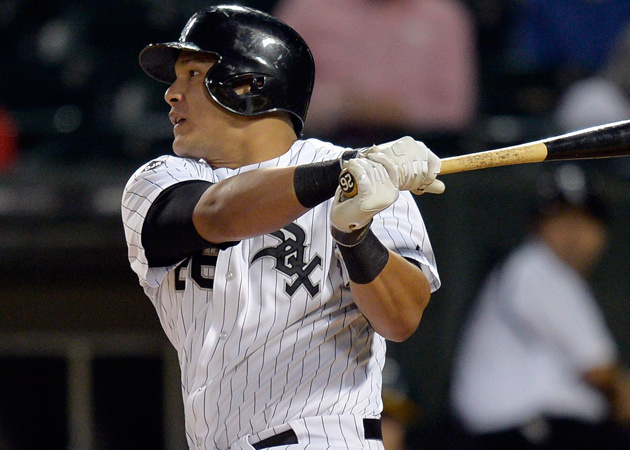 The Big Question: Is Avisail Garcia ready to take the next step? New Chris Sale wingman Jeff Samardzija gives the White Sox (potentially) the best starter troika in the AL, David Robertson will go a long way in fixing what was an atrocious bullpen, and Adam LaRoche could have a 30-homer season with The Cell as his new launching pad. The White Sox are loaded with shiny new toys, but in 2015, the most important player may actually turn out to be their 23-year-old Baby Miggy who is primed for the breakout season so many have been waiting for on the South Side. Garcia's 2014 season was lost to injury after he missed four months with a torn labrum and avulsion fracture in his left shoulder before returning earlier than expected in late August, and he more resembled a nightclub bouncer than major league outfielder at times. But after an impressive performance in Venezuelan winter ball, Garcia has reportedly shed about 15 pounds this winter (fire up those "best shape of his life" narratives) and vowed to remake himself into a more versatile five-tool talent. The broad-shouldered Venezuelan was always a masher who was faster than he looked, but he appeared a step slower when he returned from surgery. This spring, Garcia, who will likely hit fifth behind Jose Abreu and LaRoche in the new look Sox lineup, will be a player to watch in White Sox camp — the biggest X-factor on a sleeper with legitimate playoff hopes. Step right up for the White Sox' second base job, which is, as camps open, as wide open as the 2016 Republican field: Emilio Bonifacio, Gordon Beckham, Carlos Sanchez and Micah Johnson are all in the running. The frontrunner is probably Bonifacio, who hit .259/.305/.345 in stints with the Cubs and the Braves last season and could be an interesting No. 9 hitter in the lineup with his speed. Beckham, signed to a one year, $2 million deal, is back after being traded to the Angels late last season. Still a liability with his bat, Beckham has turned himself into a very good defensive second baseman, and just before he headed west, he shined in Chicago as part of a dynamic double play duo with Alexei Ramirez. Sanchez, a plus defender who does enough with his glove to make up for his punchless offense, is young (23) and has some upside. But it's Johnson who has the highest ceiling of all the second basemen in the organization, someone who'd give the lineup a jolt with his speed. His bat, though, could use more refining in Triple A Birmingham, where he's likely to begin the season. The third pick in the 2014 draft has a shot to break camp with the club, but since the White Sox don't seem to be in a particular hurry for Rodon to join the rotation, it's likely that he'll take the route of past Sox starters (and success stories) Sale and Mark Buehrle and pay his dues in the bullpen. Rodon could be a big addition to a relief corps that ranked 28th in ERA last year, but there's also an opportunity in the rotation for the White Sox' top prospect, a lefty out of N.C. State who was 25-10 with a 2.24 ERA in three seasons with the Wolfpack. Beyond the big three of Sale, Samardzija, and Jose Quintana, there are plenty of questions in the back end of the rotation (unless you somehow have faith in John Danks and Hector Noesi). But the White Sox' staff seem impressed with what they've seen so far out of the 22-year-old Rodon. Said pitching coach Don Cooper at SoxFest: "This is early, but the first thing I knew right away, and the first thing I can tell Chicago White Sox fans: We're going to have another good one coming down the road." The Big Question: Is Aaron Hicks Ready to take over in centerfield? Time is running out on the former top pick. In the minors, Hicks flashed the speed, arm, outfield range and plate approach to suggest that he could be a future star, but he continues to be plagued by an inability to hit against major league pitching. Torii Hunter will start in rightfield and Oswaldo Arcia in left, but centerfield is there for the taking, with Hicks competing with Jordan Schafer for the starting gig. 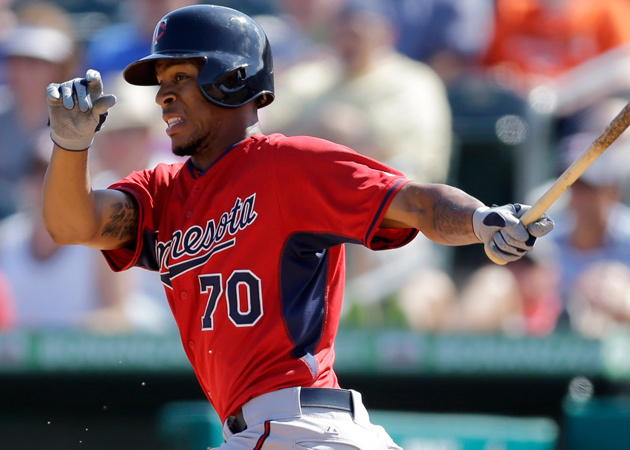 Hicks made his debut with the Twins two years ago as the surprising Opening Day centerfielder but struggled, with a .192/.259/.338 line in 313 plate appearances prior to a demotion to Triple A Rochester. Last year, Hicks beat out Alex Presley in camp, but the 2014 season was more of the same, as the switch-hitter went on to post a .215/.341/.274 line over 69 games, struggling so badly that he dropped his lefthanded swing, only to pick it up again after a stint in the minors. This spring is a critical one for Hicks to establish himself — it may be his last shot with the Twins. The No. 5 starter slot is up for grabs, with Tommy Milone, Alex Meyer, Trevor May, Tim Stauffer and Mike Pelfrey all vying for the job. Milone, acquired last summer in the deal that sent Sam Fuld to the Athletics, is regarded as the front-runner, but he has plenty of competition. The longshots are the 31-year-old Pelfrey and 32-year-old Stauffer, who became a candidate after he signed a one-year, $2.2 million deal in December (he has logged over 100 innings just once in the majors). May was the Phillies' top prospect just four years ago, but Meyer, the Twins' third-best prospect, is the most intriguing option, with an arsenal that suggests he could be a front-line starter in the big leagues. Meyer finished with a 3.52 ERA and a 153/64 strikeout-to-walk ratio in 130 1/3 innings at Triple A last season, and with an impressive spring, he could be pitching in Target Field in April. The phenom has been somewhat overshadowed by Cubs prospect Kris Bryant, and coming off an injury-plagued season, he has slipped in some prospect rankings. Buxton should be healthy now after playing just 31 games in an injury-shortened season last year and will likely start the year at Double A with fellow top prospect Miguel Sano, though GM Terry Ryan said that seeing both in the majors this season "would be a realistic point of view." Buxton is still one of the most exciting young players in the game, with a bright future ahead, but after a run of bad luck, it'll be important for him to have a good spring in Fort Myers.